The U.S. Air Force has transported 200 passengers as part of efforts to airlift French troops headed to Mali, according to U.S. Air Forces in Europe. In total, the Air Force has conducted seven missions and moved 168 tons of cargo to help the French military, which is fighting Islamic rebels associated with al-Qaida, a USAFE spokeswoman said. France intervened in Mali’s civil war on Jan. 11 as rebels made advances toward Mali’s capital. U.S. officials have said no ground troops will be part of the U.S. military’s assistance to France. So far, the Air Force has committed five C-17s to support the French, a defense official said. 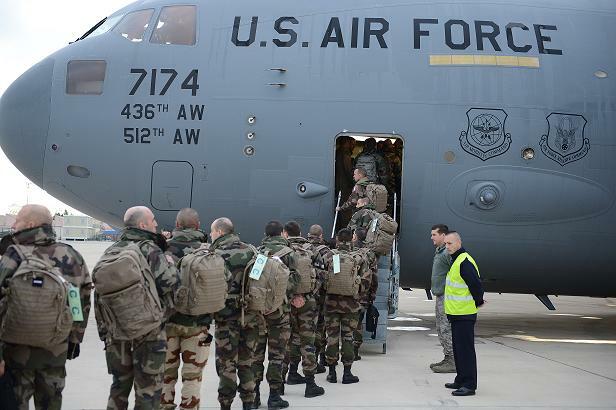 The Air Force’s first flight in support of France’s operation in Mali took place on Jan. 21, when a C-17 from Dover Air Force Base, Del., picked up more than 40 French troops and 80,000 pounds of supplies from Istres, France, according to USAFE.